But instead of dwelling on how they’ll be remembered, they might worry more about whether they’ll be remembered. 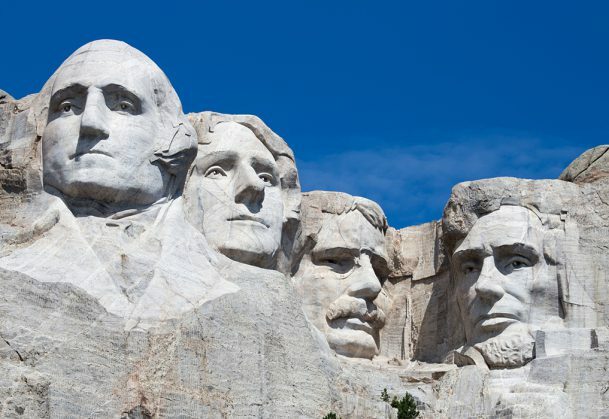 Ongoing research from APS Past President Henry L. Roediger, III, of Washington University in St. Louis, suggests that most US presidents are destined to fade quickly from the nation’s collective memory. Roediger has been testing undergraduate college students on their ability to recall the names of presidents since he was a Yale University graduate student in 1973. His latest research paper on the topic, coauthored with psychological scientist K. Andrew DeSoto, is published in Current Directions in Psychological Science. Roediger’s research suggests that most presidents will be largely forgotten within 50 to 100 years after they occupy the White House. Early on, Roediger administered the presidential-recall test to research individual test takers’ patterns of remembering and forgetting. In their new study, he and DeSoto, who was a graduate student at WUSTL and now APS Assistant Director for Policy, were able to uncover how Americans forget presidents from our historical or popular memory over time. Their research also shows that less than 20 percent of the participants are able to recall more than the past eight or nine presidents in a row. As of today, that means somewhere around Ford and Nixon are the end of the memorable line — and Johnson is history. So how well will President Trump be remembered? We do not recall Warren Harding who surely highlighted presidential corruption with the Teapot Dome bribes. We will likely forget Tricky Dicky who put “GATE” into the corruption lexicon. Trump, as seems highly apparent, trumps Harding and Nixon as far as payoffs, bribes, conflicts of interest and number of cabinet resignations to avoid prosecutions. We just need a Dome or Gate to label his administration. Maybe Roger Stone will offer a catchy term.